Enjoy this easy, tasty recipe! Mix 2 Cups of Olive Oil with Italian seasoning, sea salt, cracked black pepper and Worcestershire sauce. 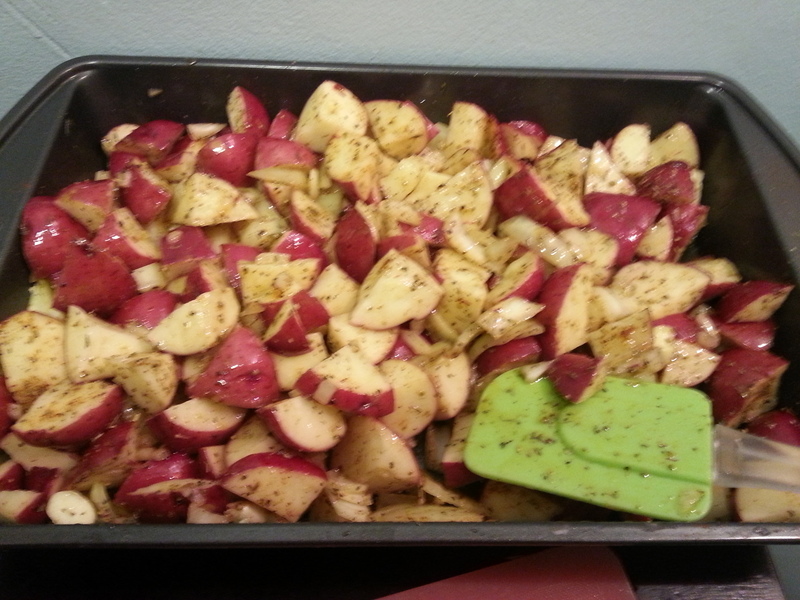 Pour mixture over chopped potatoes and mix well so it is evenly spread throughout. Place remaining cup of olive oil along the bottom of the pan. Pour potatoes into pan and cover with aluminum foil. Place into the oven and cook approximately 30 minutes or to desired texture. Oh! potato in red its so nice….. usually all of them like potatoes so thanx 4 sharing this beautiful red pink potato 4 us…….Got a good recipe………Enjoyed!